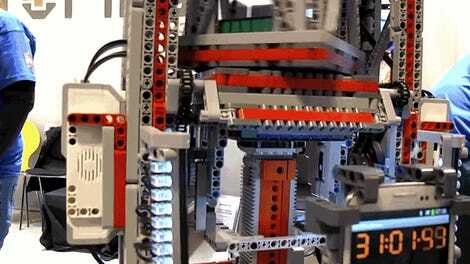 Rubik’s Cube-solving robots are far from a new idea. In fact, while the human record holder can solve a cube in just 4.22 seconds, the fastest cube-solving robot does it in a little over half a second. 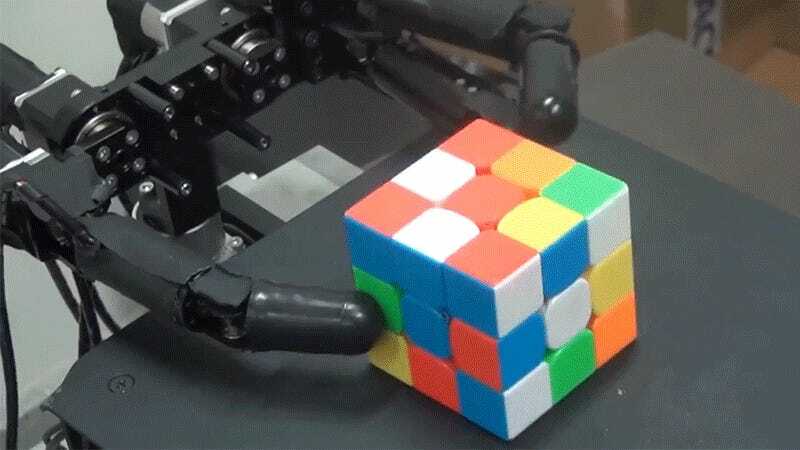 This robot isn’t quite as fast, but it’s ability to quickly solve a Rubik’s Cube using just one three-fingered hand is an astonishing feat of artificial agility. At one point in time, it was considered an accomplishment when a robot arm could pick up something as delicate as an egg without crushing it between a pair of pincers. 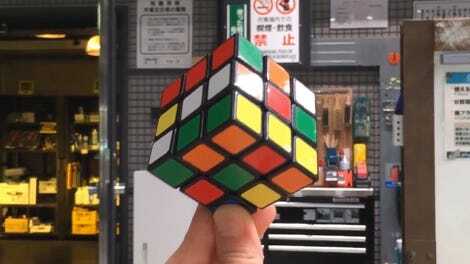 But as researchers from the University of Tokyo’s Ishikawa Senoo Lab demonstrate—with the assistance of a high-speed camera monitoring the subtle movements—this agile three-fingered hand can manipulate and reposition Rubik’s fiendish puzzle cube with impressive dexterity. Not pictured in this video is an overhead camera system that can capture and process video at an astonishing 500 frames per second. 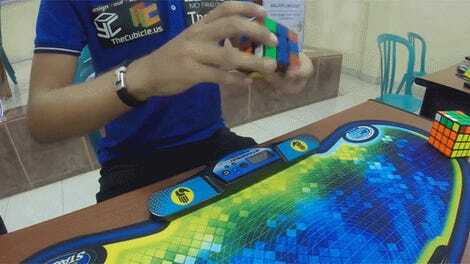 It recreates what your brain is subconsciously doing as you play with a Rubik’s Cube in your hands, constantly monitoring the shape, position, angle, and center of gravity of the toy so that the fingers are always positioned properly to provide enough torque to spin the faces of the cube and line up all those colored tiles. The practical applications of a Rubik’s Cube-solving robot might seem limited at best, but the Ishikawa Senoo Lab’s approach isn’t focused on speed with this solver. 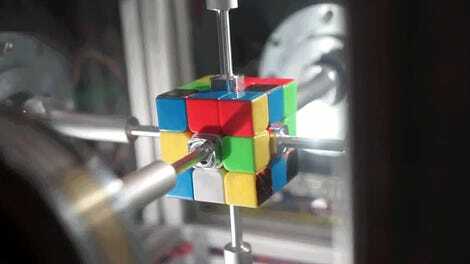 The Rubik’s Cube poses a unique challenge for a robot’s capabilities, particularly when it’s being tasked with solving it the same way a human would, using only a few fingers. What’s learned from this research can be applied to countless tasks requiring extreme dexterity, from assembling electronics to performing delicate surgery, and even chopping up vegetables. One day you might even find a dextrous robot running a three-card Monte scam in a back alley. How fast can you solve one?